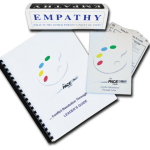 Effective Communication Through Color is the second phase in The Complete PACE™ Palette Workshop Series-“the next level”. 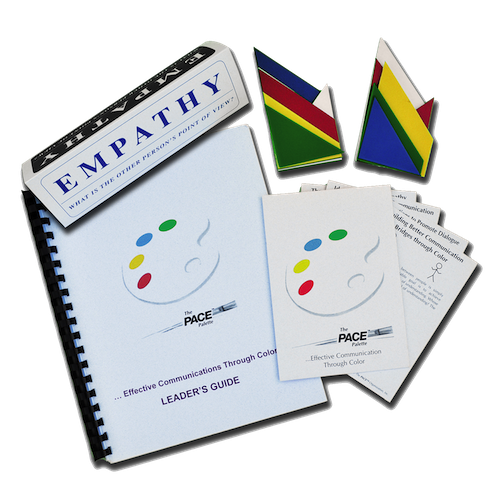 (Includes Effective Communication Through Color Leader’s Guide– 41 pages,Effective Communication Through Color Participants Folder, The PACE® Puzzle (with instructions). This exercise is ideal for up to 25 participants per session. Effective Communication Through Color is the second phase in The Complete PACE® Palette Workshop Series-“the next level”. 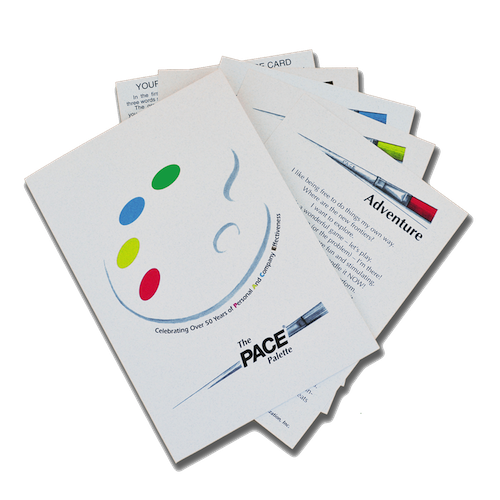 This exciting session allows participants to actively experience-first hand how to employ the information they’ve learned in The PACE® Palette Workshop and how to most-effectively communicate with each of the COLORs. 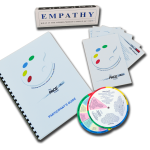 Quite often, after someone has experienced the eye-opening PACE® Palette, there is a tendency to believe that because of the “aha” moments they may have had, they are fully equipped to implement this information. 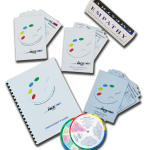 Effective Communication Through Color allows them to even further explore the dynamics of “really” understanding how to “use” the COLORs and “own” what they have learned from The PACE® Palette. 1). A discussion of the communications process and practical suggestions your participants can easily incorporate into their communications. 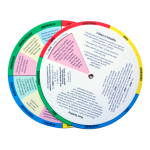 There is also an invaluable discussion of “Building Better Bridges”-better communication bridges, a revealing, thought-provoking segment on enhanced communication before launching into the highly interactive, dynamic exercise of The PACE® Puzzle. 2). 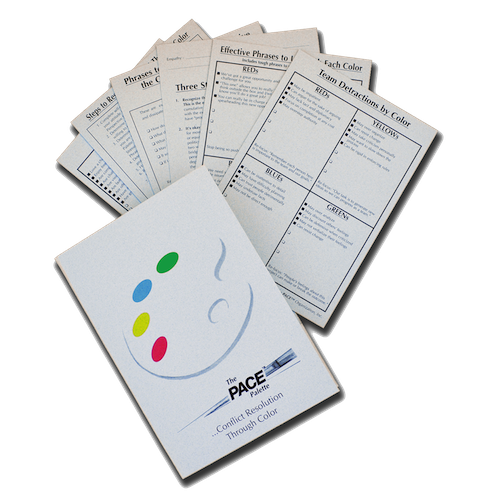 A presentation of The PACE® Puzzle-an original PACE® exercise that exemplifies how even simple communication can go awry. 3). 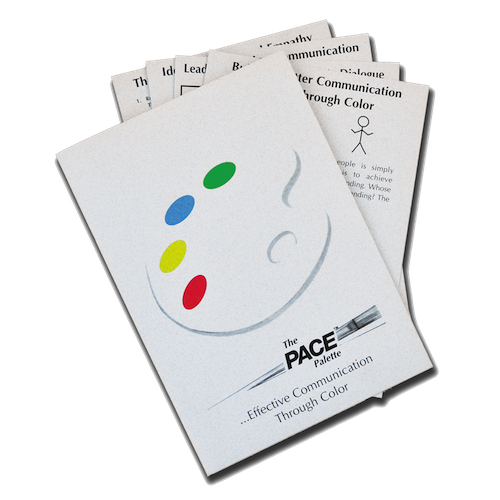 Further practice of The PACE® Palette color language, which we feel is vital in effectively and dramatically enhancing communication. This session is intended to last 2 ½ to 3 hours. By the end, participants will clearly experience how and why their communications do not always result in the manner in which they intended and what they can do about that.